Three women of vastly differing ages and origins cope with life in three distinct regions of Peru. 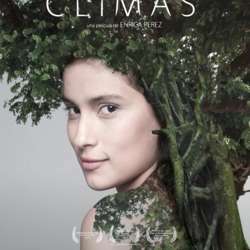 Eva, a young girl from the lush tropics of the Amazonian jungle, experiences a sexual awakening by way of a forbidden relationship with her uncle. Victoria, a wealthy socialite from Lima, hides a terrible secret that renders her inner life as grey and melancholic as the city surrounding her. Zoraida, an elderly peasant from a destitute village in the Andean Mountains, confronts her worst fears in the wake of the unexpected return of her estranged son. A movie about three unconnected regions, three introverted women, three stories of discovery shaped by three different geographies, societies and climates of the same fragmented country.